While Amazon has a great choice of products other than supplements, if it is vitamins, minerals, herbal and other health products that you are wanting to buy then Iherb is the place to go for choice of products, information and fast delivery. Some of the best prices on supplements that you will find, typically prices are 30-40% cheaper than recommended retail due to the volume of products that they sell. Easy to navigate website with clear information about the exact ingredients in products, recommended dosages and expiry date. On some websites it is difficult to find out what the active ingredients are and the exact quantities in each product, and with the high turnover of product at Iherb they always have very good expiry dates. They deliver all over the world from the U.S, they ship using the express couriers DHL and often orders will arrive within 3-4 days, even to the other side of the world to places like Australia. Cheap shipping, often if you buy over $60 of products shipping is free. 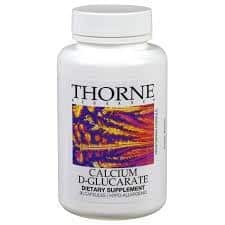 Quality brands like Thorne Research, Now Foods, Jarrow, Allergy Research Group, Life Extension, Garden of life and many others means it is not too hard to find the exact product that you are looking for. I have had no problems buying $200-$300 of supplements and getting them delivered to Australia with zero shipping costs, except for one time when I had an order for over $1,000 of supplements which went over the “personal use” threshold and I was liable for customs duties. So in Australia if you keep your orders below $1,000 you will have no problems, which should not be an issue for most people. When I am in Canada I have had to pay around $20 in importation and customs fees, even with these fees the prices of buying from Iherb are much cheaper than buying locally in Canada. While I recommend Iherb to many of my clients around the world I still recommend some of the great Australian practitioner brands to my Australian clients, for both their quality and convenience, these companies can only be accessed with a consultation. Iherb are often having sales on select items, and right now they are having a 10% off everything sale for Cyber Monday week which runs out soon. You can always use the code MKW930 with your first order from Iherb which will give you a 10% discount. Whenever you jump on Amazon or Iherb it is easy to get overwhelmed about exactly what you need to order, not only what are the best supplements but what are the best supplements for you. A good option is to schedule a consultation and I can help guide you on the best supplements and what the best options for you based on your test results, lifestyle and any health concerns that you have. Iherb has taken the very effective and good step towards the wellness of mankind. It is not possible for many online shopping websites to provide their services worldwide this is really a very appreciative step. Hope people will take the benefits of your products. Thousands of online sites offer Online health supplements now a days. How we can trust on them if we do, is there any source ,where we can check their credibility ?